As a tune-up for Rod's tournament this weekend, Kevin and I played at the WildHawk Golf Club. It was probably as well as I have ever played. I birdied the first hole. 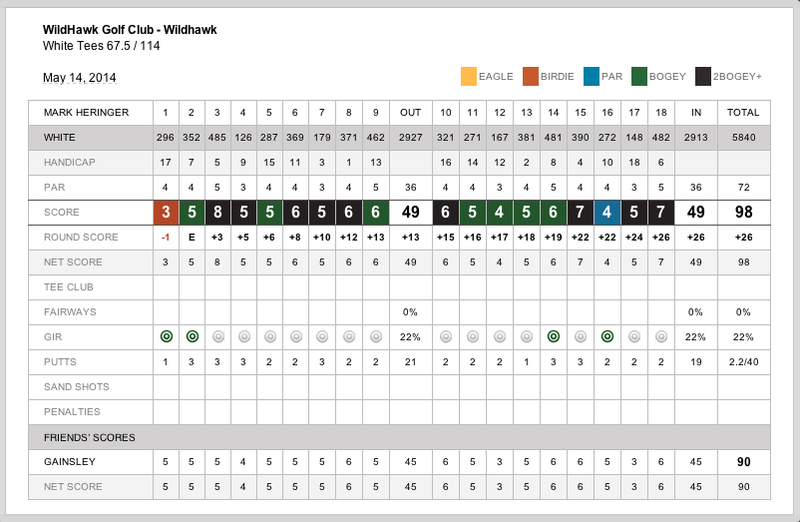 Driving off the tee consistently all day, I ended up shooting a 49 on both the front nine and the back nine for a 98.